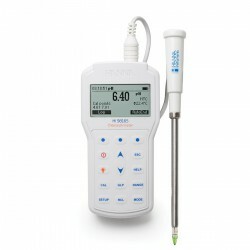 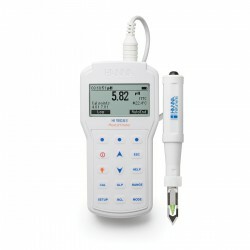 The HI98190 is a rugged, portable pH meter with the performance and features of a benchtop meter. 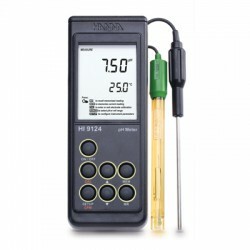 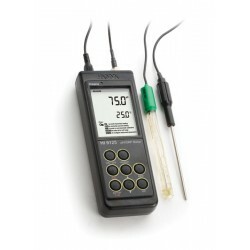 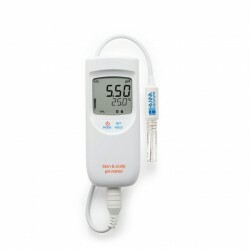 This professional, waterproof meter complies with IP67 standards and measures pH, ORP and temperature. 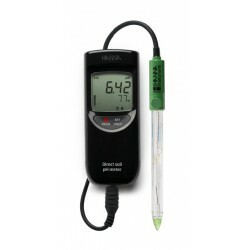 The HI98190 is supplied with all necessary accessories to perform a pH/temperature measurement packaged into a durable carrying case. 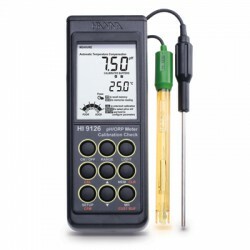 •Alerts user to potential problems during calibration including when to clean electrode and possible buffer contamination. 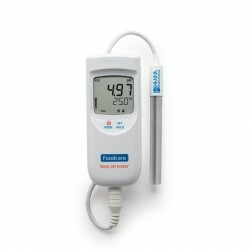 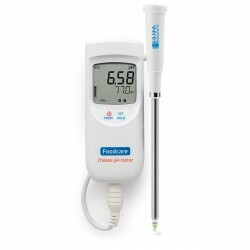 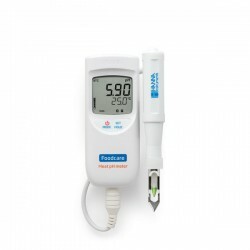 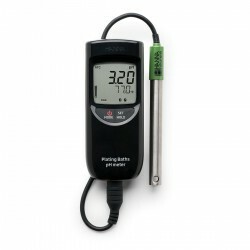 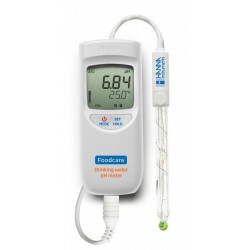 For the measurement of pH, the HI98190 comes with an HI12963 titanium body amplified pH electrode with a built in temperature sensor for automatic temperature compensated readings. 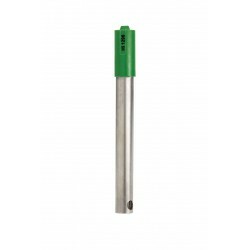 The titanium body is chemically resistant to aggressive chemicals and is virtually unbreakable. The HI12963 pH/temperature electrode features a newly designed quick connector that provides a simple waterproof connection without any threads. 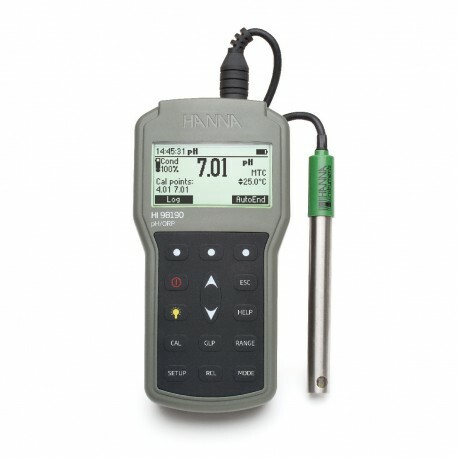 Hanna's unique CAL Check™ feature alerts the user to potential problems during the calibration process. By comparing previous calibration data to the current calibration, the meter will alert the user with display prompts when the probe needs to be cleaned or is broken, and if the pH buffer might be contaminated. 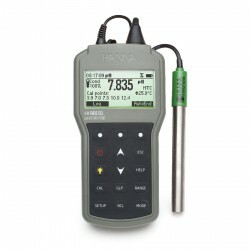 After calibration, the overall probe condition is displayed as a percentage from 0 to 100% in increments of 10%. 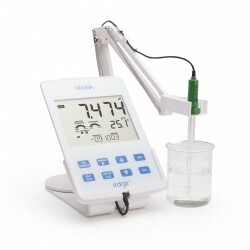 The probe condition is affected by both the offset and slope characteristics of the pH electrode and is displayed on the measurement screen on the day of calibration and in the GLP data. 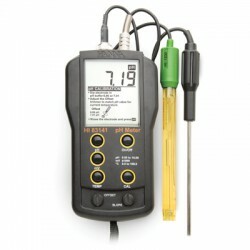 Pressing the “Autohold” virtual key seen in measurement mode, the meter will freeze a stable reading allowing for the reading to be documented or logged. 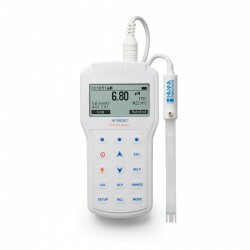 An “out of calibration range” warning can be enabled that will alert the user when a reading is not within the bracket of calibrated pH values. 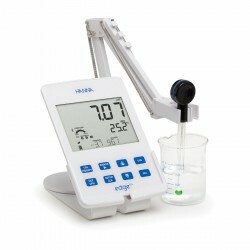 The log-on-demand mode allows the user to record and save up to 200 samples (100 for pH and 100 for mV). 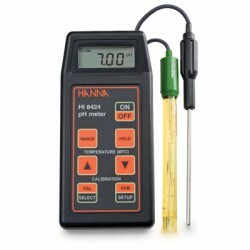 This data along with the associated GLP data can then be transferred to a PC with Hanna’s HI920015 micro USB cable and HI92000 software. 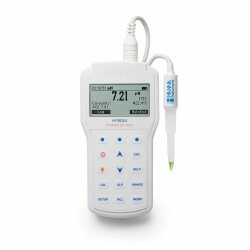 The high contrast graphic LCD is easy to read outdoors in bright sunlight as well as in low-lit areas with the backlight. 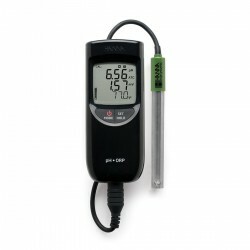 A combination of dedicated and virtual keys allows easy, intuitive operation in a choice of languages. 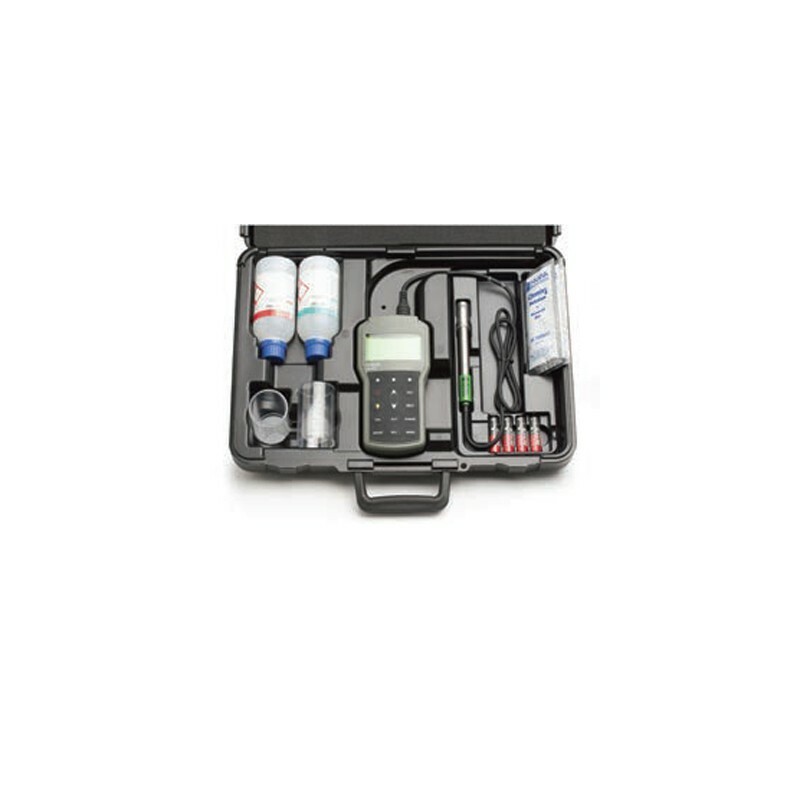 The compact, durable HI720190 carry case is thermoformed to hold all necessary components for taking a field measurement, including the meter and electrode, beakers, buffer solutions, cleaning solutions and storage solutions. 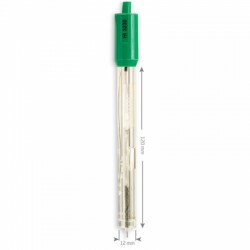 HI 98190 is supplied with HI12963 titanium body pH electrode, HI7004M pH 4.01 buffer solution (230 mL), HI7007M pH 7.01 buffer solution (230 mL), 100 mL plastic beaker (2), 1.5V AA batteries (4), HI92000 PC software, HI920015 micro USB cable, instruction manual, quick start guide, instrument quality certificate and HI720190 hard carrying case.